It’s very hard to get decent observed wind data for the UK (and most countries, I imagine), so I was intrigued when I found a 1km resolution database of wind data freely available online. You can download ‘GIS ready’ data on that page, or enter a grid reference in an online tool. The database was originally developed the Department of Trade and Industry (DTI) at some point before 2001, and as far as is known, the data that was used to build up the database dates from the period approximately mid-1970s to mid-1980s. Open your ASCII file in Excel as semi-colon delimited data, delete header line and first column and then save as a CSV comma delimited file. Open this in a text editor such as Wordpad and Replace the ‘semi-colon+space’ with a ‘comma’ and then delete carriage return at the end of the file. The wind data visualised at the three different heights above ground. The original reason for getting this data was helping a teacher with a lesson on wind turbines. 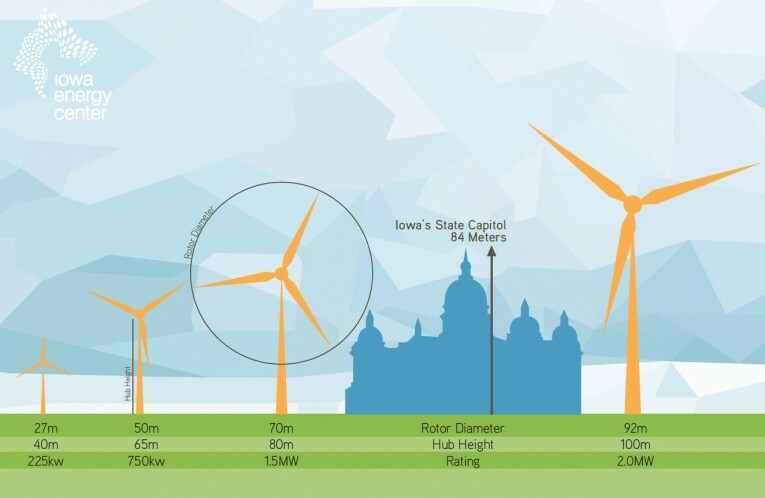 You can see that wind turbines can get a lot taller than 45m, but it’s a decent enough dataset for the purpose. s: ";1" r: "; 1"
s: "\( 0," r: "\t\t\tnl\n\( 0,"
Then delete the column and header. s: "\n" r: " "
s: " \tnl " r: "\n"
s: "; " r: " "
And finally delete the space at end of file – all done. This entry was tagged data, GIS, research, UK, wind. Bookmark the permalink.